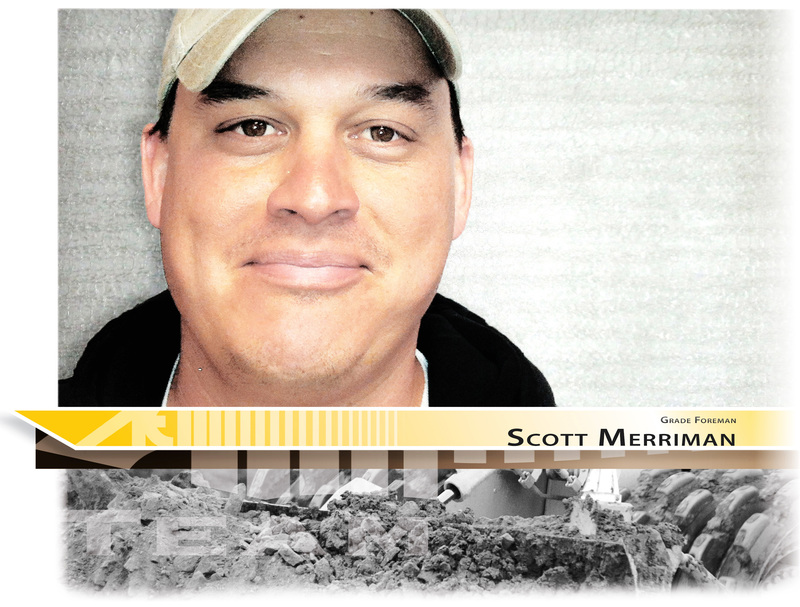 Consistently showing great initiative and leadership, Scott has been a top performer throughout his seventeen years at AEI, the last thirteen of which he has spent as a foreman. He is a “working foreman” who runs the entire job from the seat of his dozer, using its GPS technology to exercise greater control and efficiency. Aside from his grading responsibilities, Scott also has the ability to supervise and install all site utilities. Above all, Scott’s tremendous work ethic and “never-cut-corners” approach has been an essential aspect of AEI’s success. He has been a large part of why we have a reputation for turning jobs over on time and doing so in a safe, neat manner. We employ a large number of long-term, full-time operators and laborers. The corresponding experience and familiarity at these positions increases communication and team chemistry, which ultimately yields higher productivity and efficiency in the field. Above all, this group embodies a teamwork mentality that motivates them to put in the extra effort and time to turn jobs over in a timely manner.